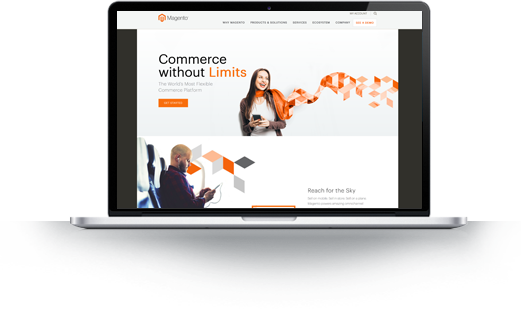 Whether your store needs a simple solution or requires complex functional requirements, our Magento certified experts will deliver. For almost a decade, we have focused on increasing conversion rates for ecommerce clients through high-quality Magento development and design. If your store has specific business requirements such as integration with 3d-party ERP systems, marketplaces, fulfillment systems, or you just need to create simple solutions to complex functional requirements, then Meticulosity can help. Along with custom Magento development, we also offer full custom Magento design and theming. We can integrate & synchronize Magento with your 3rd-party ERP system or in-house systems. We can import existing customer and product data from other ecommerce systems or applications. We can meet custom payment needs (such as offshore banks) with secure custom gateways. We can integrate your products, orders, and customers with Amazon, eBay, Shop.com, Rakuten, and more. We can upgrade your old Magento 1.x site, migrate you from another ecommerce platform, or build an entirely new store. We can help you integrate Magento with CRM systems like Infusionsoft, Salesforce.com, and even in-house systems. With so many years experience in ecommerce, we can employ best-practice SEO on your templates and product content. Magento is a complex beast in large-scale operational use. We can help you make sense of the best architecture for your business. One server or two servers? Load balancing with dedicated SQL servers? We can help you design your hosting and data infrastructure needs. We offer 24x7x365 support SLAs and advanced application layer monitoring. Not sure if you need to spring for an EE license? We can help you figure that out and work with both platforms. We also offer part-time and full-time dedicated Magento developers who work on a retainer basis to manage, optimize, and customize your site. Get the job done right, not just done. Meticulosity has developed over 50 extensions and some of the best are for sale on our extension marketplace. Our production-tested Magento extensions range from payment gateways to SEO to social media integration. All our Magento extensions have been developed in accordance with Magento standards and can even be installed on highly customized stores and are compatible with Magento CE versions 1.5 to 1.9 and Magento EE 1.13 and up. Meticulosity marries form with function. Every site needs to look good, but it also needs to work. That's why we keep design and development as different functions: programmers are bad designers and designers are bad programmers.